Peter Speake-Marin, a world-renowned master watchmaker, who founded a high-end independent watch brand under his own name in 2002, left the company in 2017 and has now partnered with a group of investors to produce a collection of affordably priced timepieces under the moniker Stoic. 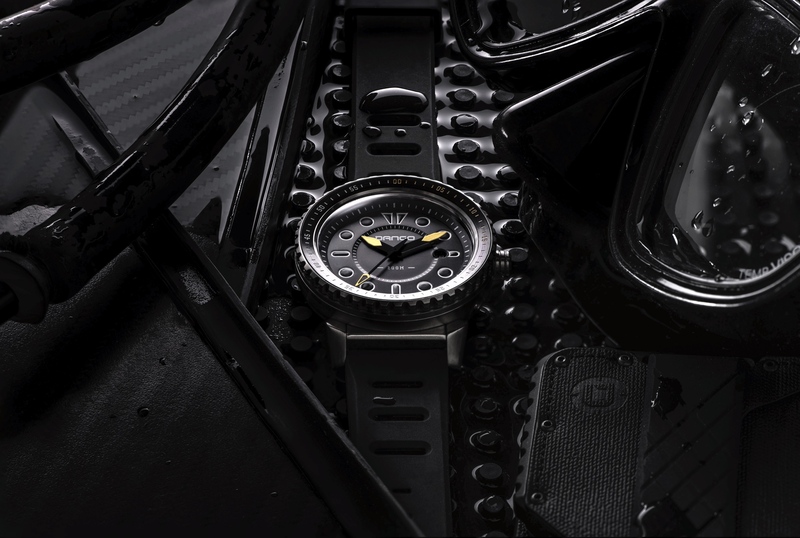 Accessibly priced timepieces are one of the ways the watch industry, in general, is trying to appeal to changing consumer tastes, particularly among the younger generation. And selling these affordable watches online, direct to consumer, a la Kickstarter, is something even the big guys, are rushing to do. One example is Daniel Wellington watches, which are designed in Sweden, made in China, and feature Miyota movements from Japan and sold directly to the consumer for a few hundred bucks or less. The company, founded in 2011, reportedly made over $230 million in revenue in 2016. Naturally, everyone, including high-end watchmakers see this massive success at the low end and want a piece of the pie. 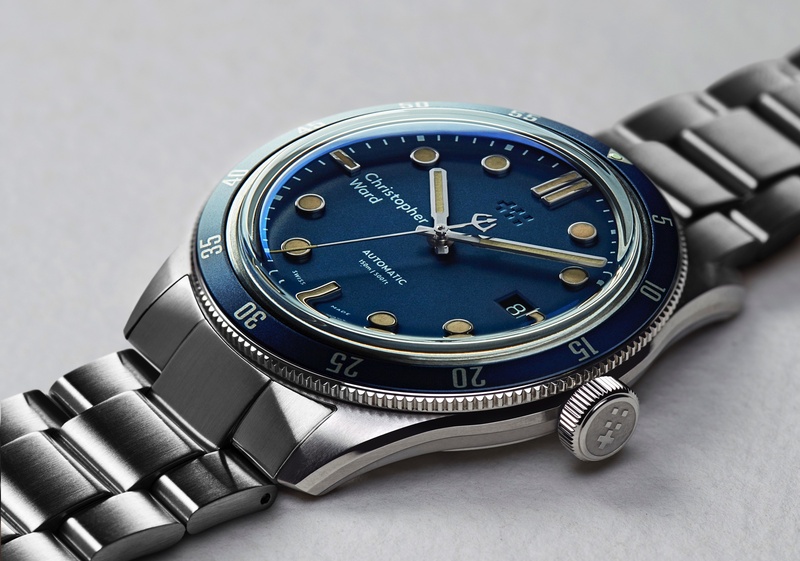 Enter Speake-Marin, who has expertise in all aspects of the watch market, and while these watches will not require the kind of craftsmanship put into his previous eponymous watch brand, he is overseeing the design and production, and therefore at this price point, you can expect a product that is very well made. In the press release, it says, “Stoicism, a way of thinking, a philosophical view founded in Greece 300 BC. The principle? Individual happiness based on temperance and detachment achieved through reason. 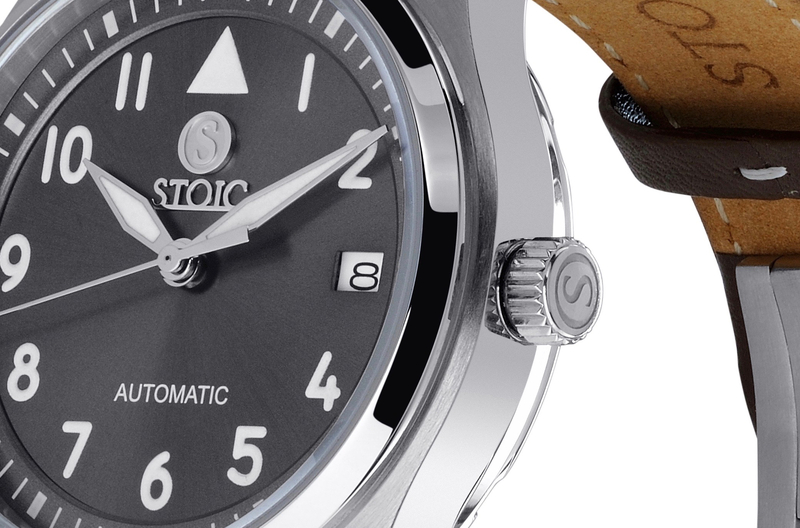 According to the company, Stoic, more than watchmaking is a philosophy to life. At launch, Stoic has three models, The Pilots Watch (38 mm x 13 mm), The Chronograph (38 mm x 11.5 mm), and The Sports Watch (43.5 mm x 14.5 mm). Despite Peter-Speake Marin producing Swiss watches for most of his career, in a surprising twist, the Pilots and Sports watches are powered by mechanical movements made not in Switzerland but Japan. And maybe even more shocking: the chronograph is powered by a Japanese quartz movement. 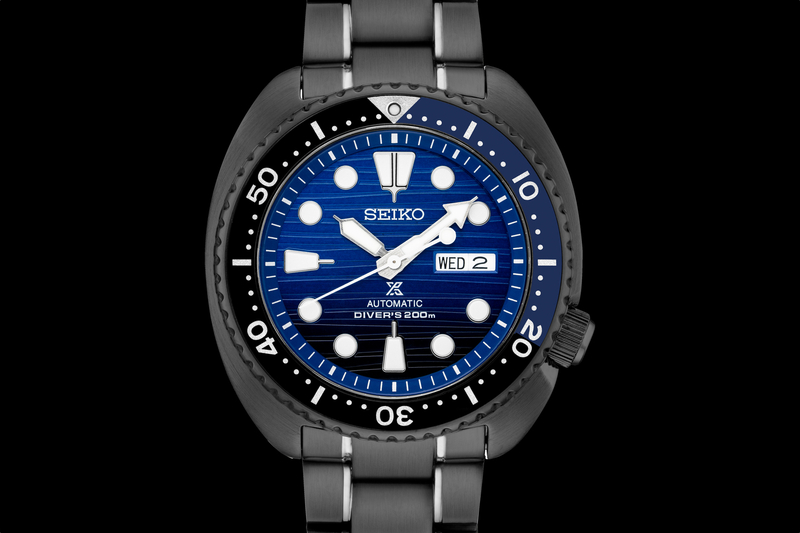 Of course, when you consider that these watches are well proportioned, and feature premium applied indices and that even the logo is applied, all for under $500, the decision to use non-Swiss movements makes a lot of sense. Younger consumers are more focused on style and price than whether the movement is Swiss made. And why not give the watches good proportions and use a design language that works at the higher price points, made under the leadership of a true master watchmaker? It’s hard to say at this point how well Stoic watches will sell. However, with Speake-Marin backing the brand, and considering the sporty and handsome aesthetics and seemingly good build quality, which I would argue the dressier watches made by Daniel Wellington lack), these watches are right on trend and have a good chance of selling well. Stoic watches retail from $290 to $490 and are available for sale online, right now.